The dramatic, tumultuous and often tragic human events that erupted in the Balkan Peninsula following the collapse of communism between 1989 and 1991 have captured the Western world's attention throughout the past decade. 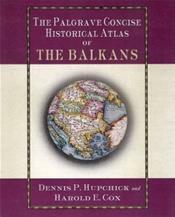 The Palgrave Concise Historical Atlas of the Balkans contains fifty two-colour, full-page maps and extensive explanatory text to explore this often complicated and war-torn history. The maps not only illustrate the area's physical geography, but also the political development and key moments in Balkans history, in a way that is immediate and easy-to-understand. Lecturers and students will find it an indispensable and affordable useful reference tool, and general readers will enjoy it for its clarity and wealth of information.